" Savalas just a short quick note to let you know my roof looks great! You arrived on time and handled yourself in a professional manner. That's why I am letting you clean my father-in-laws roof. Believe me, I wouldn't let just anyone do the job. Thanks for everything!" " I just wanted to let you know how much we appreciate the job you did on 15 roofs at Spanish Lake Apartments and the price was reasonable. They were black with algae. Now they look like new roofs! GREAT JOB!! Our roofs look really good and several of our tenant's mention how good they look. If you need a reference I would "highly recommend" you. Klean Roof was established out of neccesity after a couple of real estate investors noticed they were prematurely replacing roofs on their investment properties. After extensive research and unsuccesful luck to find a company that could clean their roof, Klean Roof was then born. Home of Louisiana's Ultimate Home Cleaning Experience. Our roof cleaning experts inspect your roof, and give you the best analysis of the most effective way to attack the mold, mildew and algae that's eating away at your shingles. Your home is one of the most important investments of your life. Keeping your home properly maintained, protects the value of your investment. Klean Roof can and will help you protect your investment from unnecessary wasted money spent on prematurely replacing your roof. Just as we tend to take care of our lawn and landscaping, roof cleaning is an essential key for the long term performance of your roof. Klean Roof offers FREE Estimates & FREE Roof cleaning demos and you can rest easy knowing that you're doing everything you can to make sure your investment is protected. 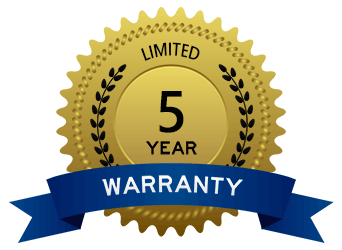 Klean Roof offers a proven roof cleaning method that is guaranteed for a full five years. 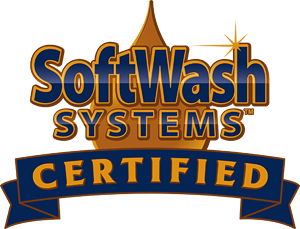 The results you see are done instantly after we apply our Softwash Solutions to your roof, driveway, sidewalk, walkway, patio, deck, and all exterior surfaces. Using our exclusive Soft Wash methods, which have been practiced since 1991, we can offer you a much better and extremely less harmful and less damaging roof cleaning experience than pressure washing.